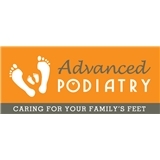 Advanced Podiatry (Maspeth) - Book Appointment Online! I went in for something very simple (sprained ankle) and Dr. Hendizadeh was so thorough in is questions that come to find out I had more wrong with me than just a sprained ankle! His bed side manner is excellent. He is comprehensive with his exams, which I very much appreciate. I highly recommend Dr. Hendizadeh.